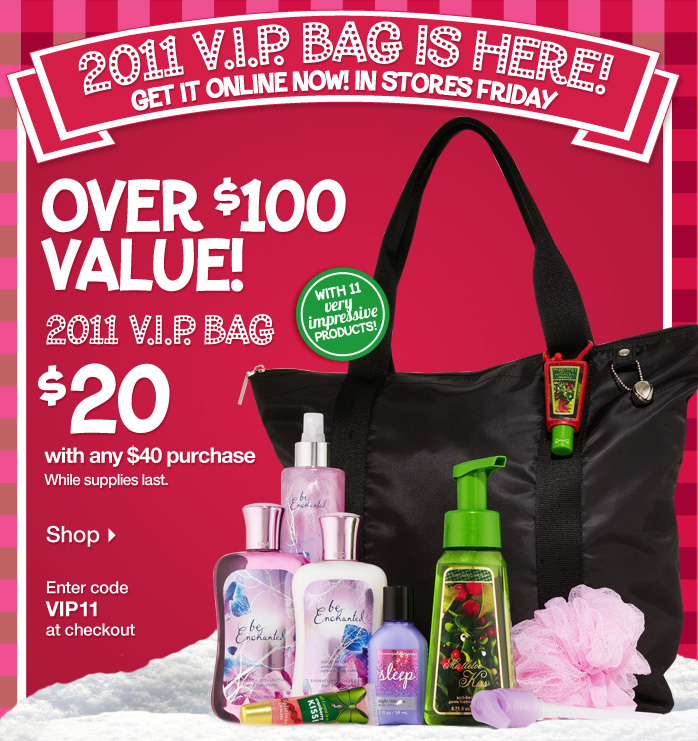 Bath & Body Works Black Friday Deal 2011 – Spend $40 to get this VIP bag for only $20 (valued at over $100). Get this Bath & Body Works deal online now using code: VIP11 or get it in-store on Black Friday at Midnight! Two super cute printed cosmetic bags and a merry jingle bell. The nylon tote has one side-zip pocket, a zip-top closure and is lined in a fun zebra print!